Are you In Salford And In Need Of A Render Cleaning Service? 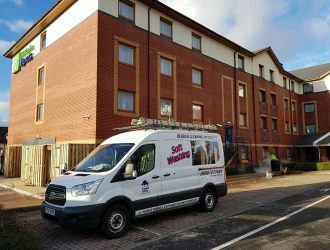 Purple Rhino render cleaning in Salford and will restore your building to it’s sparkling and clean old self and we’ll even give you a FREE sample clean upfront. Our professional teams are waiting for your call and are ready to come and banish that grime, moss or other build up for good. 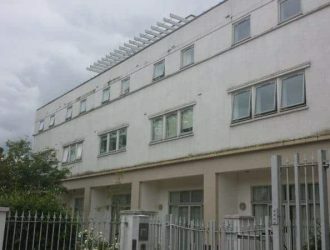 Are you ready for a beautiful new-look building? Well pick up the phone now and call Purple Rhino render cleaning in Salford on 0800 157 7484 – for a no obligation quotation and to book in your FREE sample test clean. 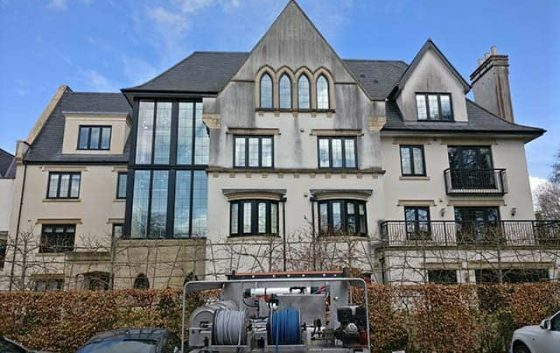 Purple Rhino have been render cleaning in Salford for over 30 years and use only the most professional of teams and the latest high tech equipment. 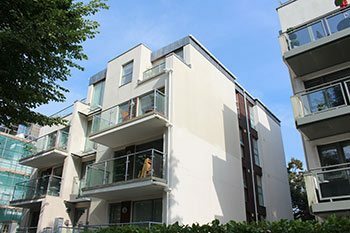 With our ‘soft’ cleaning system we will gently but thoroughly clean away all dirt and grime on the exterior of your building and banish algae, moss and other organic build up for good. 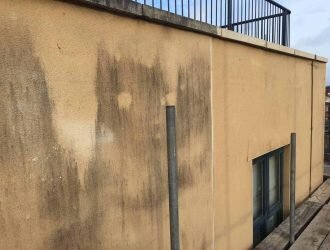 By using very hot steam (DOFF systems) at varying pressures we will clean the render of any debris, killing off spores at the same time, to prevent future growth. 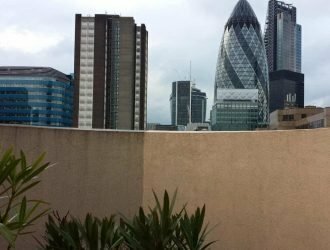 This gentle system allows us to reach even the most difficult of places while ensuring that the clean is careful and doesn’t damage your existing render or the building fabric behind. Unfortunately other companies still use pressurised water, which can damage your render and walls as it finds it’s way into the actual build. And note – you’ll have big problems if the water freezes further down the line. 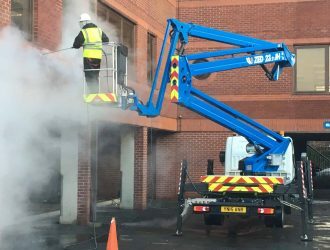 With our steam render cleaning in Salford we ensure minimum disruption to you, your staff, your home or business with a fast and effective clean. 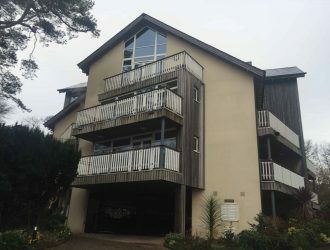 Your building will dry out quickly and your render will have a beautiful shiny new-look in no time at all. We are an environmentally friendly company and wherever possible we will NOT use chemicals in the clean. At Purple Rhino render cleaning in Salford we clean all buildings big and small. No matter how difficult the job may look, we can guarantee that we will clean it and well. 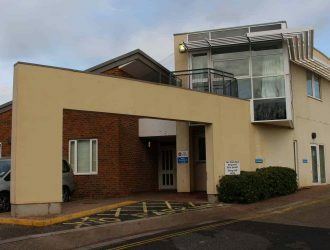 We’re the preferred render cleaners in town for blue chip companies and are used to keeping buildings looking the best they can be. 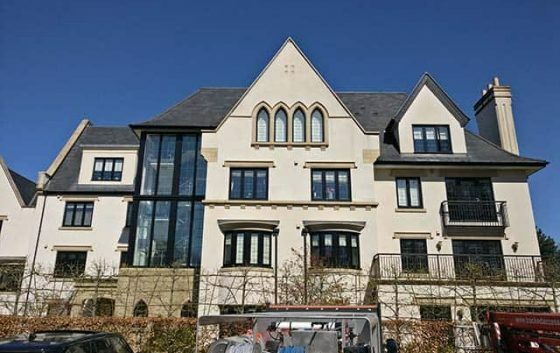 So, whether your render is on a commercial or residential build, be it smooth, rough or coloured – we will tackle it and restore it to it’s former glory. 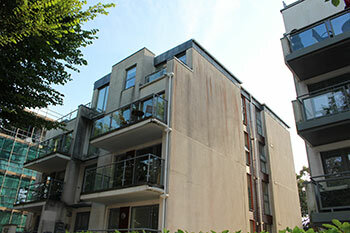 Render that was dirty, grimy and discoloured will miraculously become bright, shiny and clean. You won’t believe your eyes, the transformation is remarkable. We’ll help you ensure that your image is the best it can be. 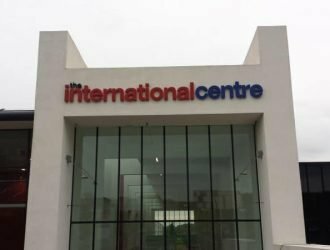 We all know that first impressions count and as the render on your building is the first thing people will see when they enter your business, home or institution, you really want to get it right. 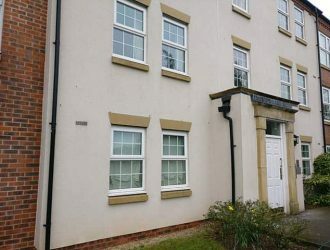 So don’t leave it any longer, let Purple Rhino render cleaning in Salford do our stuff and make that render look the way it was supposed to be. You won’t regret it, so call us on 0800 157 7484 for FREE quote and FREE sample test clean.